President Maithripala Sirisena has been making a unique contribution to political developments in Sri Lanka. He backed the passage of the 19th Amendment to the constitution to transfer a significant portion of the presidential powers he enjoys back to Parliament and to the Prime Minister. Since the presidential election of 1995 the winning candidate at all successive presidential elections has promised to abolish the executive presidency. But once they won, the winners deemed it opportune to keep the institution going. They used the very powers of the presidency that they had condemned when contesting the elections to govern the country and safeguard themselves in power. President Maithripala Sirisena is the exception. The difficulties encountered in passing the 19th Amendment through Parliament have not been of his making. The 19th Amendment was intended to result in a two-way distribution of powers vested in the presidency. This has now been modified by the Supreme Court. The Supreme Court’s determination is that the transfer of executive powers from the President to the Prime Minister affects the structure of governance envisaged in the constitution and therefore requires approval of the people at a referendum. It pointed to the Prime Minister becoming the head of the cabinet of ministers and being vested with the power to appoint ministers in terms of the amendment. According to the Supreme Court’s determination, these powers can only be divested from the Presidency with the approval by the people at a referendum. On the other hand, the redistribution of the President’s powers to appoint heads of key state institutions, such as the Supreme Court, Police, Public Service, Human Rights Commission, Elections Commission and Bribery Commission will be possible without recourse to the approval of the people at a referendum. The constitutional change envisaged here is possible with only a two thirds majority in Parliament. This will see the revival of the 17th Amendment which was passed in 2000 by the government of President Chandrika Kumaratunga, but which was effectively abolished in 2010 by President Mahinda Rajapaksa. Prime Minister Ranil Wickremesinghe has said that the government is prepared to drop the clauses that require approval at a referendum and proceed with the passage of the 19th Amendment. The government’s position is that it wishes to keep to its presidential election manifesto which promised change, including constitutional change, within 100 days of the election. A referendum will take at least another three months to hold. There is also a concern that the outcome of a referendum might not be in favour of a diminished presidency. The opposition parties, including a substantial section within the SLFP itself, are of the view that the military victory secured over the LTTE was only possible because of the strong government that existed in the last phase of the war, of which the presidency was the cornerstone. However, the passage of the 19th Amendment remains in doubt even if the government drops the clauses in it that require a referendum. This is due to the dispute between the government and opposition regarding the change of the electoral system. The opposition is insisting that it will only support the passage of the 19th Amendment if, at the same time, the electoral system is also changed. The problem with the opposition’s demand is that there is no consensus between the political parties on electoral reform. The existing electoral system which is sought to be changed is based on proportional representation, which leads to each political party receiving seats in parliament that are proportionate to their share of the national vote. In practice this has been favourable to the small parties, including the ethnic minority parties, and enabled them to have a voice and power in parliament. However, after more than three decades of experience, the disadvantages of the proportional system used in Sri Lanka have become manifest and there is a consensus about the need to amend the system. What is being envisaged is a mixed system, in which some MPs are elected on the first-past-the-post system of constituency based voting, and others are elected on a proportional system. This mixed system was based on the recommendations of a parliamentary select committee. However, the interim report was dropped due to the strong protest of the ethnic minority parties. They showed that the undermining of the system of proportional representation would be unfavourable to them. It is necessary to arrive at a compromise which is acceptable to all political parties and which addresses the concerns of the ethnic-based political parties especially in the post-war context. However, President Sirisena and the government appear to be determined to ensure that the 19th Amendment is passed without delay. The president’s decision to remove five rebellious members from the SLFP’s Central Committee is a sign that he is willing to assert his authority over the party. 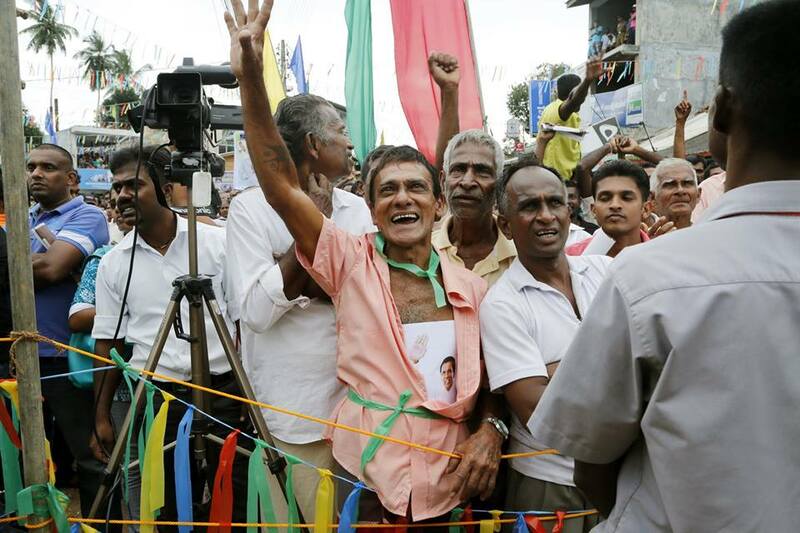 Supporters of the defeated former President Rajapaksa have been criticising the new president for being a weak leader. However, the uniqueness of President Sirisena needs to be appreciated. He is the only one of Sri Lanka’s elected presidents to take action to reduce the powers of the presidency. He is also unique in heading a bipartisan government. At the presidential elections he got large proportions of votes from the ethnic minorities. The present composition of the government is unique and is not likely to be replicated. It is important that the present opportunity to reduce the powers of the Executive Presidential system be taken when the country has a president who is willing to share his powers with others. Even the scaled down version of the 19th Amendment would contribute to good governance in the country by ensuring that there is a system of checks and balances so that power does not corrupt, and absolute power does not corrupt absolutely. It makes the Presidency answerable to Parliament and also to the Supreme Court in cases where fundamental rights are alleged to be violated, restricts the president’s term of office to two, removes from the Presidency the power to dissolve Parliament after one year and only permits dissolution after four years,and provides for the strengthening of the independence of the judiciary and key state institutions such as the police, public service and watchdog commissions. The redistribution of powers of the Executive Presidency would also contribute to resolving the ethnic conflict which has been the country’s most intractable problem. The problem with the presidency is that it concentrates power in a single institution and, even worse, in a single individual. Where a country is ethnically and politically fractured, it is better that power should be decentralized rather than centralized. When power is centralized in an ethnically fragmented polity, it enables the representatives of the largest ethnic community to capture power and wield it without consideration for the interests of the smaller ethnic communities. Former President Mahinda Rajapaksa epitomized this downside of the centralized presidential system. A sustainable political solution is most likely if there is power sharing at the provincial level through the devolution of powers and also at the central level through the sharing of powers in the cabinet of ministers. Most Sinhalese Happy About Recent Riots!